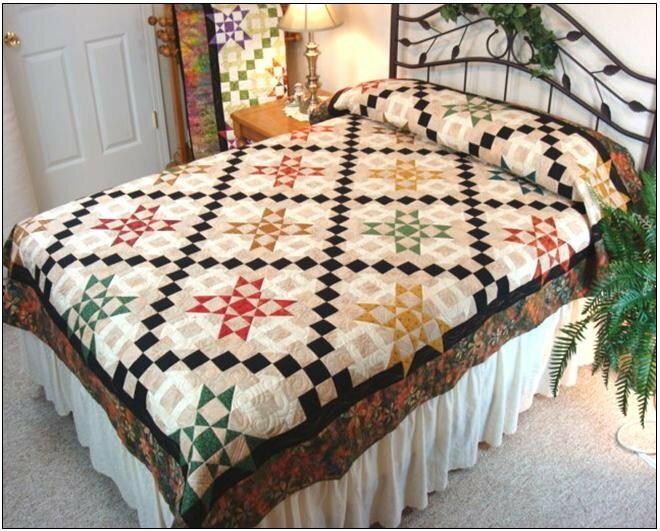 Twin size: 68" x 92"
Queen size: 94" x 118"
Exciting combinations of blocks make up this quilt. The quilt on the bed is the twin size on a regular size mattress. This will work if you put a bed skirt on your bed. Collect batiks for the stars! Could you see this quilt done in Christmas colors?